With the first quarter of the Rotary year completed, it has been a busy time. 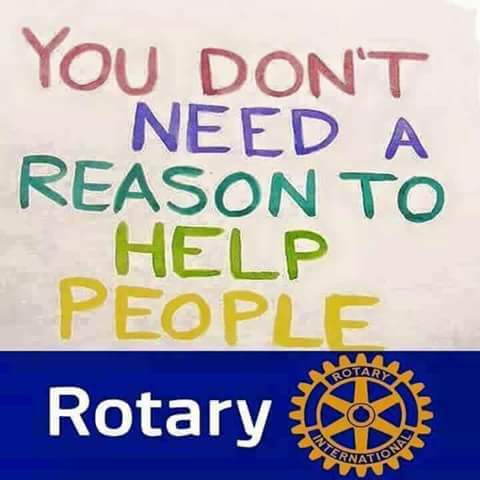 At this point I have visited with 54 of the 87 Rotary clubs in District 7475 and am continually amazed by the diversity and commitment of the clubs to their local communities and to Rotary International. I learn something new at each visit and look forward to continuing my visits among the remaining 33 clubs. That should take me to mid-January, weather permitting. Our district enjoyed an historic visit from R.I. President Barry Rassin last Saturday evening. He joined with some 300 Rotarians from our district and the neighboring New Jersey districts to help celebrate West Orange Rotary's 90th Anniversary, raise $75,000 for polio eradication, award Paul Harris Fellows to over five dozen donors, and award Vocational Service recognition to three New Jersey Rotarians including our own Liz Parker of the Madison Rotary Club. Of course, the $75,000 becomes $225,000 thanks to the Gates Match. President Barry was joined by R.I Director Jeffry Cadorette, who gave a fitting memorial tribute to the late Karien Ziegler. Karien had been the inspiration for this wonderful event that was dedicated in her memory to the polio cause. A great storyteller, President Barry shared with the crowd a story about his work on hurricane relief for Rotary when Haiti suffered its debilitating storm in 2010. Barry noted that among the issues was transportation for the midwives who served the pregnant women of Haiti. Rotary started with a local donation of $1,000 that was leveraged into $65,000 and a new Jeep by the efforts of several Rotary Clubs around the globe. Travel was treacherous after the storm but the midwives performed valuable prenatal services now that they could move around. When the relief team went back to check on the impact of the Matching Grant they found that infant mortality among the midwives' patients had been reduced by 50 percent. What a tribute to Rotary in action. Barry said we should all be proud of this type of accomplishment as Rotarians. Rotary International has singled out 13 clubs in our district for their exemplary support of End Polio. They include: Branchburg, the Caldwells, Fanwood-Scotch Plains, Hillsborough, Maplewood, Newton, Parsippany-Troy Hills, the Plainfields, Roxbury, the Skylands, West Orange, Westfield and Whitehouse. Congratulations to those clubs. As we move toward November, the focus shifts to Annual Giving and our event is November 12th at the Pines Manor in Edison. It is a tradition built by District 7510 that has been embraced by our new district. This year we will be celebrating Veterans Day with a tribute to those Rotarians who have served in the Armed Forces. DGE Ray Freaney and his team are creating a great night. 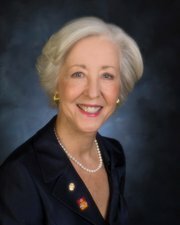 Please check the district website, njrotary.org, for more information and to make reservations. I hope to see you there.